We are proud to announce that Heritage Ranch Maintenance Association has selected Tinnelly Law Group as their association’s legal counsel. Heritage Ranch is a brand new neighborhood in the city of Winchester being developed by Beazer Homes. 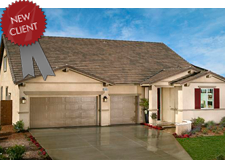 Located minutes from Temecula, Heritage Ranch in the French Valley offers the best of the Temecula Valley. Residents will enjoy spending the day strolling through old town Temecula or touring the wineries in the area. Our HOA attorneys and staff look forward to working with Heritage Ranch’s Board and management.